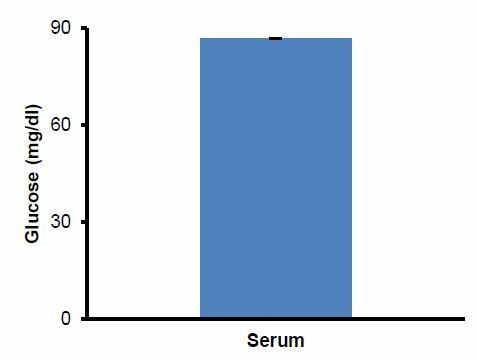 Quantitation of Glucose in human serum. Serum samples were deproteinized using a 10kDa Spin Column (10,000 x g, 10 min, 4°C). Undiluted serum filtrate (1 µl) samples were added to the wells directly. Calculated concentration: 86.78 ± 0.1 mg/dl.